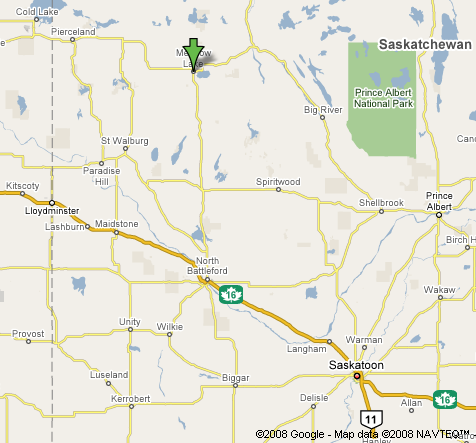 The City of Meadow Lake is in the centre of what was once a vast glacial lake. The present much smaller lake, also named Meadow Lake, measures about 6 miles (east to west) by 3 miles (north to south), with its deepest spot only about seven feet deep. The City of Meadow Lake is located on the lake's western shore. While the immediate area is gently rolling meadow land suitable for grain and cattle production, the surrounding areas are up to 800 feet higher (elevation: 2,400 feet) and feature mixed-wood forests that supply our varied forestry industries. Once past the forest and the height of land to our immediate south, the terrain turns to the flat, almost treeless terrain commonly associated with the Prairies. Incidentally, Saskatchewan, although considered a prairie province, is actually half covered in forests. Meadow Lake enjoys the benefit of both forests and grasslands. The Meadow Lake area, dotted with many fine lakes, attracts tourists looking for attractive natural settings in winter as well as summer. Hunters come here for the bear, deer and moose. Commercial fishing and trapping are also part of our connection to the natural wealth of the area. We are at the start of a road system that extends far into northwest Saskatchewan to the many Native communities and to the uranium mining industry. 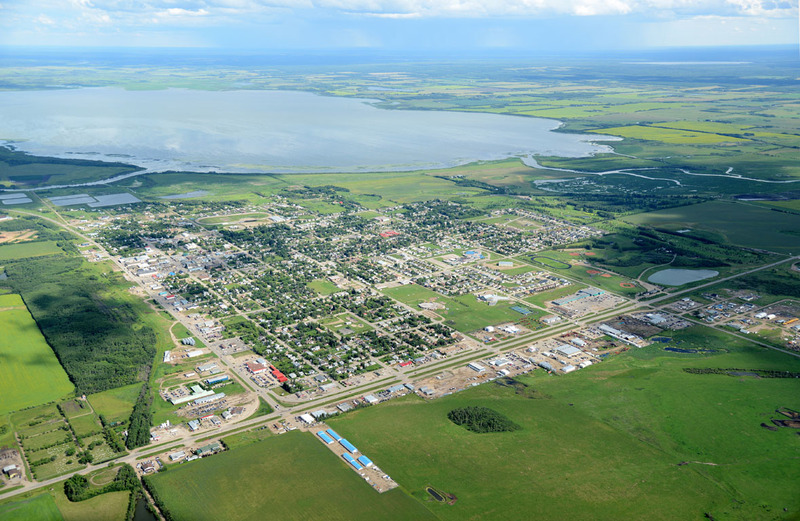 As such, Meadow Lake serves as an economic focal point for a large trading area. The city itself has 5,000 inhabitants, while the trading area includes another 15,000 people. Being located so far inland from any of the moderating oceans, Meadow Lake has weather patterns that can vary dramatically. While not suffering from the tornadoes and drought sometimes experienced further south in the province, we do have to deal with dramatic temperature fluctuations. Summer months are usually warm and dry, with the average mean July temperature being 17 degrees Celsius. Winters can be long and cold, with the average mean January temperature being minus 22 degrees Celsius, and temperatures often dropping to minus 40 or more. The average number of frost free days is 100. Meadow Lake has enjoyed a moderate rate of growth over many years. However, we experienced a significant boost when Millar Western's Meadow Lake Pulp Mill was built in 1992. During the five-year period from 1991 to 1996, Statistics Canada measured an eleven percent increase in our population. This provided a major boost to house sales and construction, and to our business sector. Forest-based industries play a key part in our regional economy, as does agriculture and tourism. With this varied underpinning of our economy, Meadow Lake should continue to prosper well into the future. Aerial view looking northeast towards the lake. Stay up to date with the latest news & events happening our community. By subscribing to our e-newsletter, you’ll receive weekly updates on notices and events. Please take a moment to share your views with us & submit a vote in our online poll.What is your favorite season of the year?